Starting the week with some color today! Here is a simple NOTD post for you all. I want you to fall in love with this shade as much as I do. Bought a couple of nail colors on the weekend & liked them so much that swatched them instantly to share with my lovely readers. 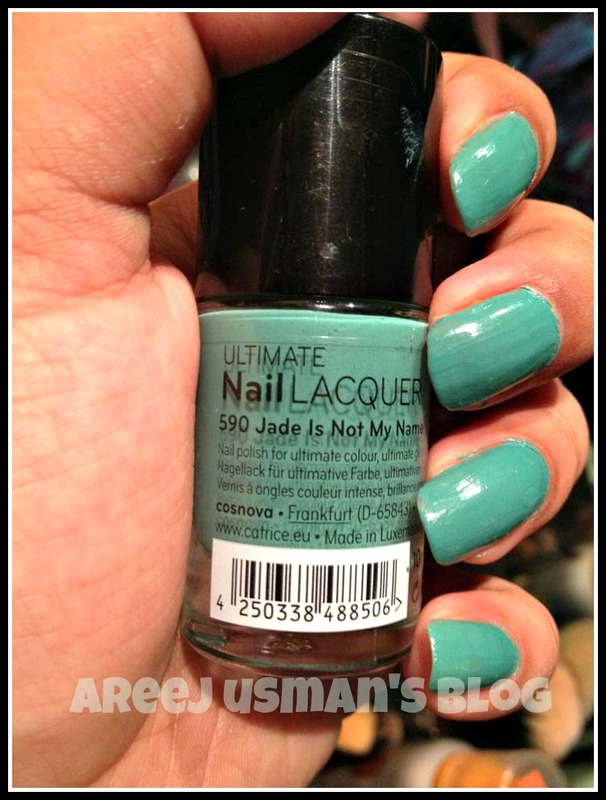 Here is 590 Jade is not my name by Catrice swatched for you. 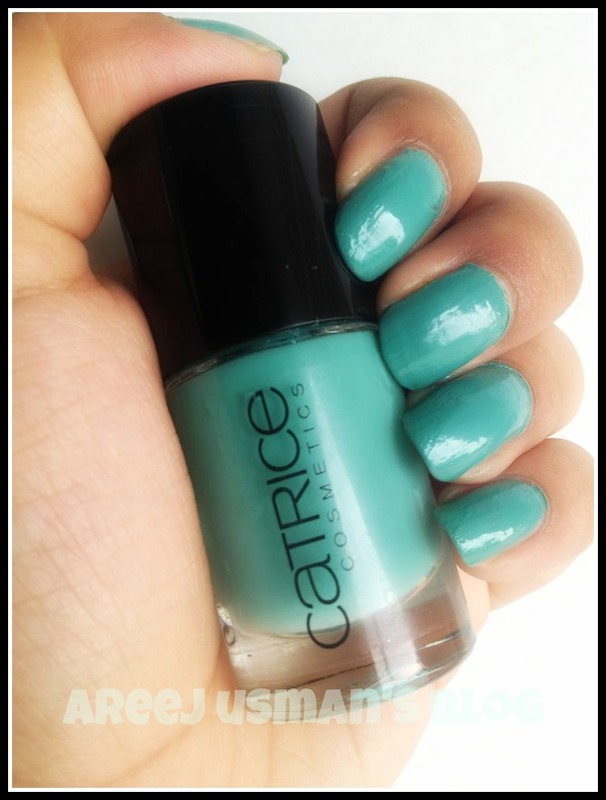 This is my first experience with Catrice Nail color.I have put on 2 coats without a top coat.The nail shade is nothing near to sheer.Gives a good result on the first coat too.So achieve the perfect results I have applied two coats. I am loving this shade . 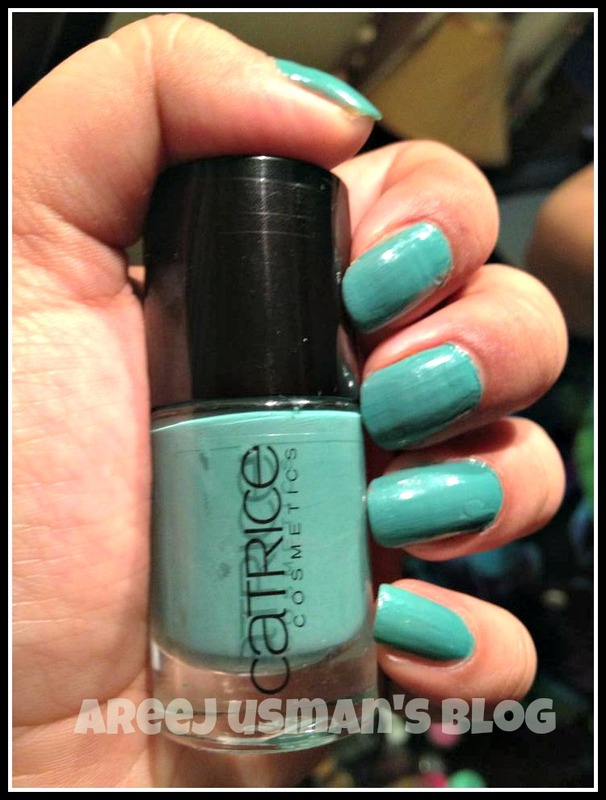 So girls have you tried Catrice nail colors? I am loving the variety of shades that they have in their nail lacquers.